Shaquille O’Neal, Chris Webber, Nate Robinson, Reggie Miller & Kyrie Irving play former basketball stars who reunite after three decades for a streetball tournament. Uncle Drew is a basketball comedy with its roots in television spots for Pepsi Max featuring the NBA’s Kyrie Irving of the Boston Celtics, disguised as an elderly man who schools younger players—or “youngbloods”—in pickup games. The film takes that concept and runs with it, expanding the plot, adding a half-court of NBA all-stars and some Hollywood live wires. After a faux ESPN 30 For 30 documentary intro—in which we learn that Uncle Drew was an NBA legend who mysteriously disappeared from the scene three decades ago, at the height of his fame and glory—we begin to meet the players. Dax (Lil Rel Howery, from Tag and Get Out) is a hapless Foot Locker employer who loves basketball. But traumatized by a childhood buzzer-beater block on the court, he hasn’t been able to play the game since. So now he manages a team from the sidelines and dreams of winning a big annual streetball tournament—and $100,000—at Rucker Park in Harlem. His gum-smacking, wisecracking nemesis, Mookie (Nick Kroll), thwarts him at every move, however. At the last minute, Mookie steals Dax’s star player, Casper (Aaron Gordon of the Orlando Magic), the rest of his team and his gold-digging girlfriend, Jess (Tiffany Haddish). Dax is understandably crushed, but things begin to start looking up when he finds the fabled Uncle Drew, mopping up with a cocky youngblood on a playground court. Drew (again played by Irving) agrees to play for Dax’s team, under one condition—if he can bring along his old teammates. So Dax and Drew set out on a road trip in Drew’s orange, shag-carpeted conversion van to collect Preacher (Chris Webber, who retired from the Golden State Warriors in 2008); Lights (Reggie Miller, the three-point maestro whose entire 18-year career was spent with the Indiana Pacers); Boots (Nate Robinson, the NBA’s first three-time slam-dunk champion); Betty Lou (former WNBA Los Angeles Sparks star Lisa Leslie); and Big Fella (the towering, 7’1” Shaquille O’Neal). Of course, rounding everyone up is not so easy—and the team certainly doesn’t appear as sharp and game-ready as they were 30 years ago. Preacher, now a bona fide man of the cloth, has to sneak away from his church, and his wife, to play ball. Lights is legally blind. Boots is in a wheelchair—and a psychiatric ward. Big Fella (O’Neal) is a martial arts instructor in the Zen zone. Can Dax and Drew get them all back in shape, and on board? The big appeal is seeing all these big basketball stars in decades-deep disguise as geezers, then finally breaking out their hidden mojo on the court to show younger hotshot players how it’s done, old-school style—like an NBA edition of Undercover Boss. There’s plenty of humor as Dax and the players jib and jab each other, and basketball fans in particular will appreciate the inside jokes and zingers—Shaq and free throws, Webber’s character inquiring about time-outs. Watch for J.B. Smoove and Mike Epps in small roles, and Erica Ash (who stars as Gwen Sullivan on the BET series In Contempt) as Boots’ granddaughter, Maya, who takes a romantic shine to Dax. As “non-actors,” the b-ball players roll loose and easy with their parts, especially since they are performing underneath layers of makeup and latex prosthetics, wigs and gobs of glued-on grey facial hair. If there’s ever an award for Best Buns in a Hospital Gown by a Former NBA All Star, well, Shaq’s a shoo-in for a nomination. Uncle Drkew isn’t a cinematic slam dunk, but it’s a surprisingly solid basketball buddy flick that plays by the rules, shoots for laughs, and scores—especially for sports fans. Ever since he was a tot, Great Britain’s Michael “Eddie” Edwards dreamed of becoming an Olympic athlete. But the odds were always stacked against him. Weight lifter, pole vaulter, discus thrower, hurdle jumper—he didn’t care. But no amount of backyard “training” made any difference. With congenitally wobbly knees bolstered by leg braces and thick eyeglasses to correct his terrible vision, young Eddie was no one’s idea of the Olympic ideal. Though it takes a few—or more—liberties, Eddie the Eagle is based on the rousing real-life story of Edwards, who proved all the naysayers wrong to become an Olympic competitor, representing Great Britain in the 1988 Winter Olympics as a ski jumper. The movie traces his improbable journey, against the wishes of his working-class father, who urges him to settle into a proper trade, and England’s stuffy Olympic committee, which thwarts his every attempt to qualify for their team. Eddie counters that curt farewell with his usual optimism, tenacity and pluck. Nothing is going to deter him. 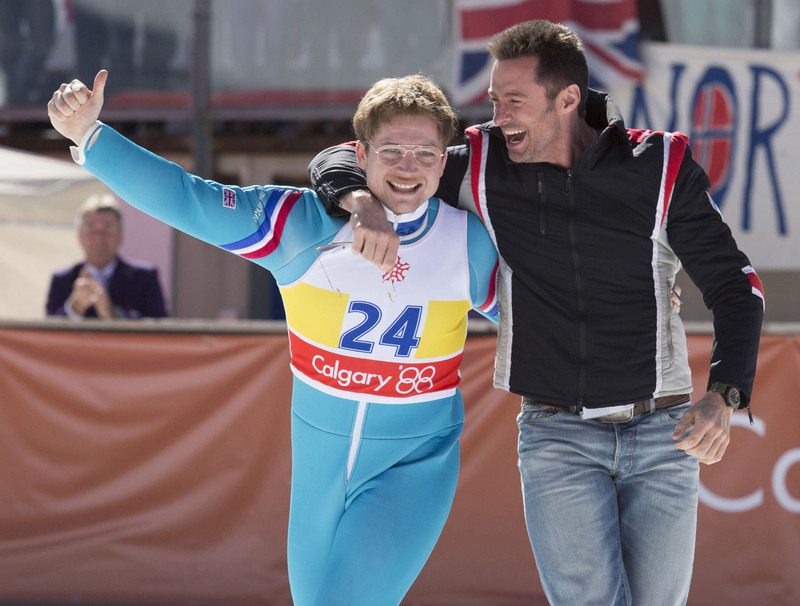 He sets off on his own to a Winter Olympics training facility, where he meets former ski champ Bronson Peary (Hugh Jackman), who reluctantly, eventually agrees to take Eddie under his wing. As the stocky, bumbling, socially awkward Eddie, Edgerton is miles—or kilometers—away from his best-known former role as a stylish, slick super-spy in Kingsman. Jackman provides American-cowboy grit (all the way down to his boots) as a washed-up one-time “whiz kid” of the slopes and former Olympic star himself, who finds his own path to redemption through Eddie’s relentless ambition. You probably haven’t heard of British actor-director Dexter Fletcher, whose films haven’t made much of a splash here in America. But he gives Eddie the Eagle a look, texture and sound perfect for its time and place, from Prince Charles and Lady Diana salt and pepper shakers on a kitchen table to the music, which combines pop and rock tunes of the era with instrumental synthesizer swooshes and swirls that would have been right at home driving the grooves of most any 1980s flick. The movie shares its uplifting underdog spirit with Rocky, Rudy, Seabiscuit, Hoosiers and any number of other film sagas about individuals or teams that come from behind, power through roadblocks or are told they can’t, shouldn’t or won’t ever. When Eddie finally makes it to the Olympics, the crowd and the media love the naïve, effusively enthusiastic oddity who barely qualified for his team and who causes the announcers to declare, “The eagle has landed!” when he makes his climactic breathtaking, daredevil descent intact—and alive. “The most important thing in the Olympic Games is not to win but to take part,” we’re told, a quote from one of the games’ founders. 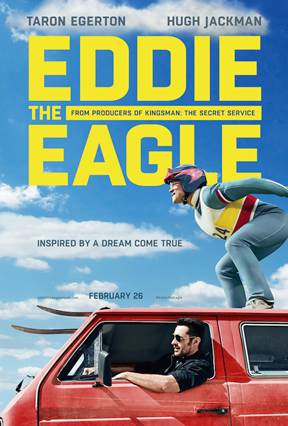 And no one embodied that spirit like Eddie, whose inspiring, soaring tale of determination and personal triumph in the heartwarming Eddie the Eagle is a joy to behold as it takes flight. Will Smith has fought zombies, space aliens and killer robots. Now he’s squaring off against an even bigger, completely human foe—and certainly a much more popular one. 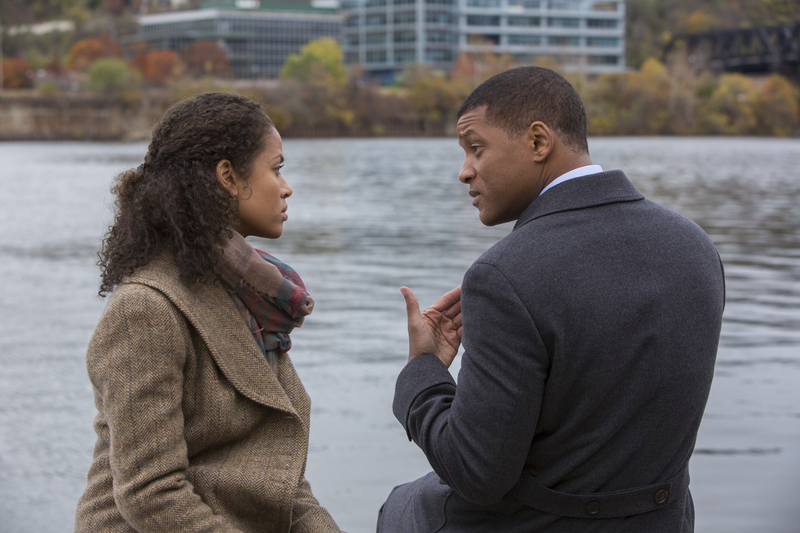 In Concussion, he plays Dr. Bennett Omalu, who discovers the link between football and CTE, chronic traumatic encephalopathy—potentially fatal brain damage from repeated concussions. The true story (originally told in a 2009 article in GQ magazine) begins as we meet Nigerian-born Omalu in 2002, while he’s working in Pittsburgh as the county coroner’s forensic pathologist. The untimely death, and bizarre final days, of a former Pittsburgh Steeler football Hall of Famer, Mike Webster (David Morse), troubles him: Webster’s autopsy reveals severe brain trauma that caused him to go crazy, freak out and eventually expire of a heart attack. When Omalu learns of other NFL players dying in similar fashion, he investigates further and comes to a conclusion that almost no one wants to hear—especially not the National Football League. Playing football can kill you. Smith, a bona fide movie star, is outstanding in a non-flashy role that doesn’t involve car chases, spaceships, shootouts or CGI special effects—just straight-up, strong, dig-in acting and a very plausible, start-to-finish nail-down of Dr. O’s West African accent and mannerisms. He makes you feel Omalu’s passionate sense of commitment—and his dream to be accepted as “American”—as the NFL tries to quash his research and discredit him. Albert Brooks is Cyril Wecht, the county coroner who helps Omalu while warning him of squaring off against with the NFL. “You’re going to war with a corporation that owns a day of the week,” he tells him. Alec Baldwin plays Dr. Julian Bailes, the former Steelers team doctor who assists Omalu in getting his message to football players, managers, agents and the commissioner. “You’ve turned on the lights and given their biggest boogeyman a name,” Bailes says. But the movie belongs to Smith, who tackles what might be his one of his trickiest, juiciest roles—a crusading underdog with a potentially life-saving message that falls on mostly deaf ears. “Tell the truth—tell the truth!” a frustrated Omalu jabs at a NFL team neurosurgeon who refuses to admit there’s any connection between football and brain injury. As millions of football fans tune into the big game this weekend, it’s a truth that will likely be drowned out by the symphony of cheers all across America. When the folks at Disney were looking for someone to play the coach in this real-life sports drama, they knew who’d be perfect. 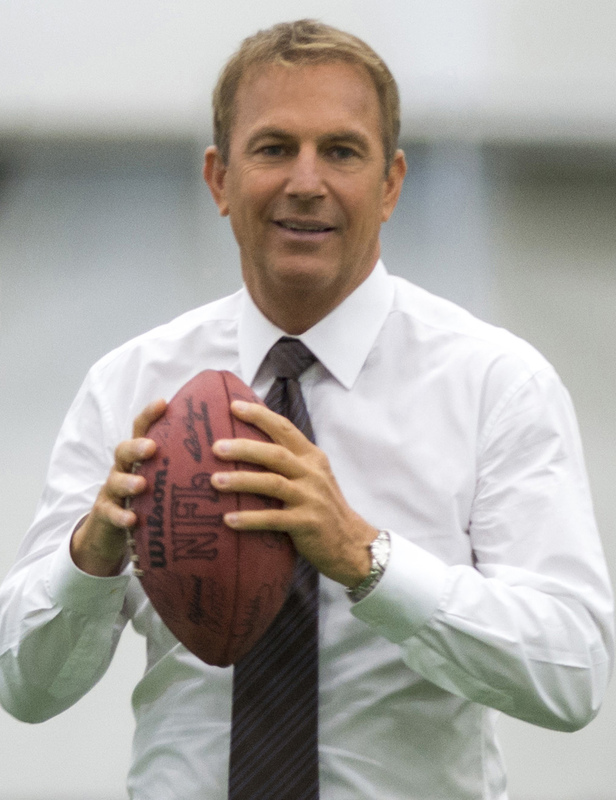 Kevin Costner, who turned 61 on Feb. 18, has been in just about every kind of movie, but he’s become a sort of senior statesman of sports flicks, with a career arc that started in the 1980s with baseball (Bull Durham and Field of Dreams) and continued through the ’90s with Tin Cup (golf) and into last year with Draft Day (football). In McFarland, USA he plays Jim White, a high school football coach who—like Costner—has been around the block a few times. White doesn’t have a lot of patience with pampered jock-star players who don’t put their hearts, as well as their shoulders, on the line and into the game. An “incident” at the beginning of the movie—in 1987—finds the coach, his wife and their two kids on the move, again, transferred from Boise, Idaho, to the small central California town of McFarland, where he quickly discovers that the mostly Hispanic football team is a flop—but man, can those boys run. That’s because they’re always running home from school to help their parents, or running after school to work in the fields. White sees their potential as a cross-country running team that could compete with bigger, better-funded schools—and possibly even compete at the state level. Never mind that the school has never had a running team, or that White has never coached one. It’s a pretty basic underdog-tale movie template, but several things about McFarland, USA make it a standout. For starters, director Niki Caro (whose three previous other features include Whale Rider and North Country, both of which received Oscar nods) never cloaks Costner in the glow of a “white savior” spotlight; he may be the star, but she makes sure the high school athletes shine. This “based-on-a-true-story” movie is their story, too, and the young actors cast as the runners, all newcomers and relative unknowns, give their onscreen characters personality, substance and dimension. There’s humor as well as heart as White and his family clash with, and ultimately embrace, their new culture. “You got burgers?” White asks on their first—bumpy—night in town before settling for the local restaurant’s only offering: tacos. 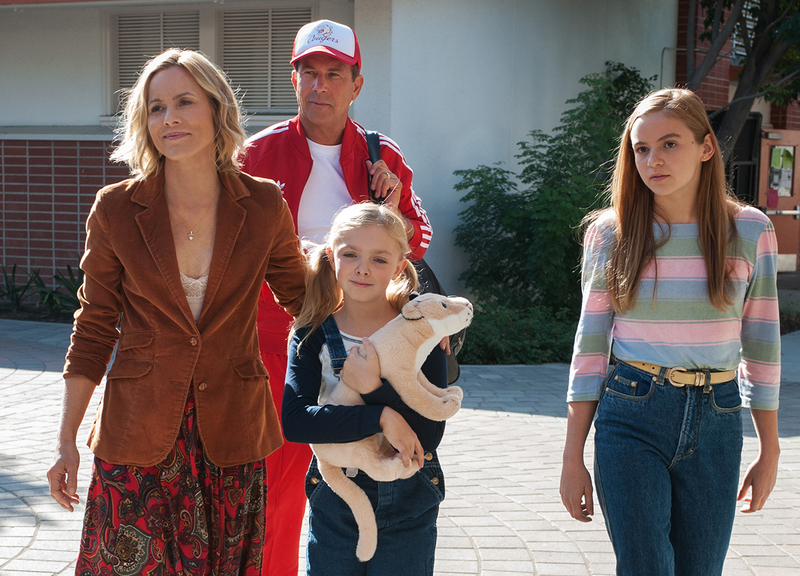 Maria Bello does a solid job as Mrs. White, even though she’s not given near enough to do, and Morgan Saylor, who played Dana Brody on TV’s Homeland, is lovely as their teenage daughter, Julie, who falls for the running team’s leader (Carlos Pratts). We meet parents, neighbors, shopkeepers and other town residents. When the camera pans the crowd at the big state meet in the climactic final race scene, we realize that we—like coach White—have come to know, like and respect all these people, who were once unfamiliar, or even threatening. As the credits roll, you’ll get to meet the real stars of this story: the now-grown McFarland cross-country runners from the team, and the real Jim White. And if you don’t walk out of this feel-good movie feeling better, more inspired and more uplifted than when you came in, proud of what happened back in this small California town in 1987 and proud of the boys and coach who made it possible…well, you must have seen a different movie than I did. Kevin Costner leads an all-star cast (including Jennifer Garner, Denis Leary, Frank Langella, Sam Elliott, Sean Combs, Terry Crews, Tom Welling and Houston Texans running back Arian Foster, making his feature film acting debut) in this behind-the-scenes drama about a pro football team manager navigating and negotiating his way through the hurdles—unhappy fans, a contentious coach and a bottom-line manager—of the NFL’s high-stakes Draft Day. 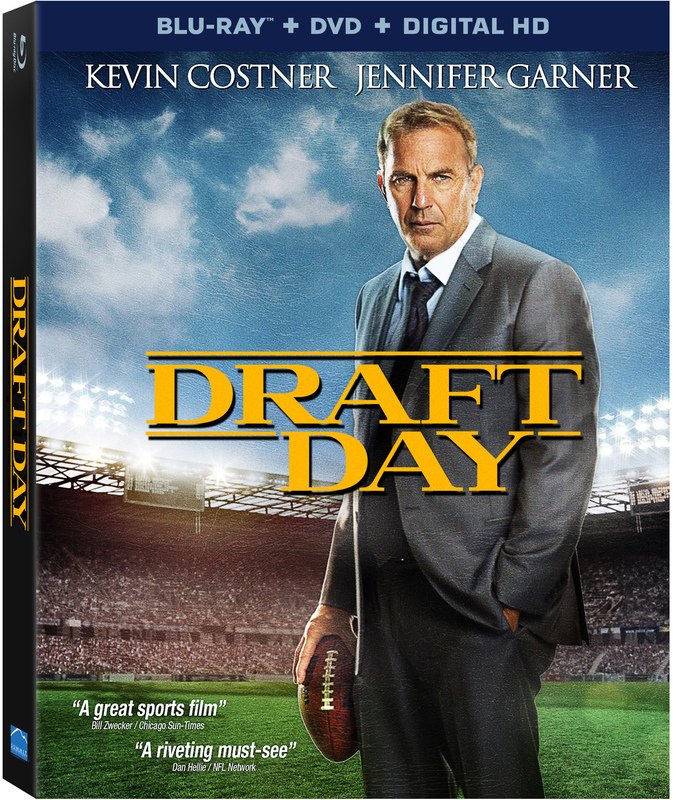 Bonus features include a 58-minute making-of documentary, commentary, and a behind-the-scenes look at the real NFL draft. Half a century of legendary players, iconic moments and classic games come alive again in this collection of more than 40 magazine articles and book excerpts. Standouts include a selection from H.G. 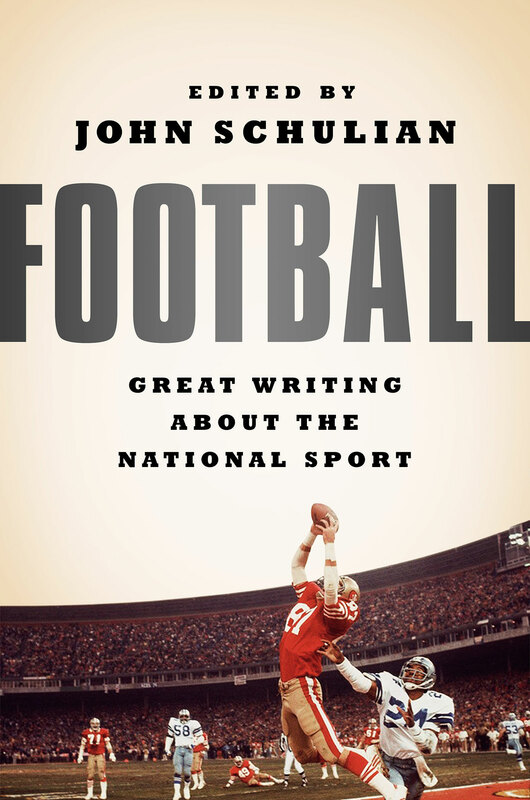 Bissinger’s Friday Night Lights; Frank Deford’s profile of Johnny Unitas; Michael Lewis on NFL kickers, the least respected players on the field; Bryan Curtis’ piece on Texas Youth Football; Roy Blount Jr. writing about his 40-year love affair with the Pittsburgh Steelers; George Plimpton’s first-person account of what it’s like to play as a Detroit Lion from his book Paper Tiger, plus many more insights, perspectives and observations sure to please any diehard pigskin fan. Tagged Football, Frank Deford, Friday Night Lights, George Plimpton, H.G. Bissinger, John Schulian, Johnny Unitas, neil pond, NFL, Paper Tiger, Pittsburgh Steelers, Roy Blount Jr. 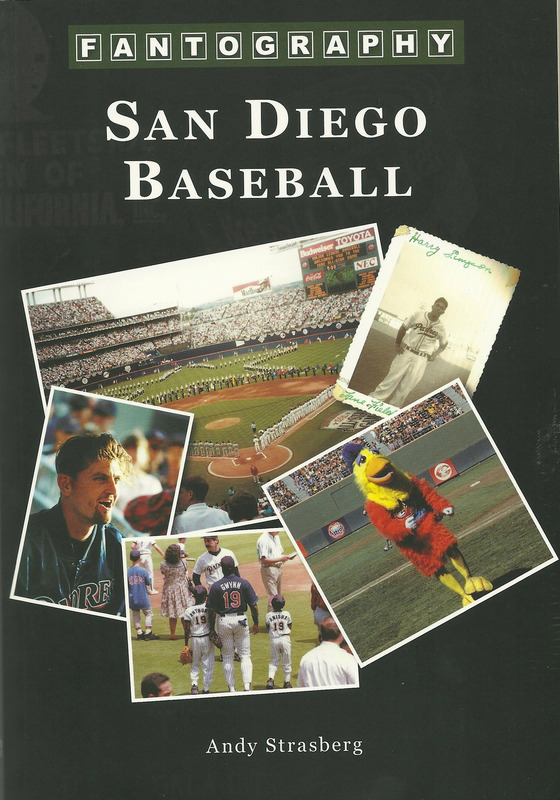 The author, a lifelong baseball lover and 20-year Padres employee, presents this collection of amateur photos taken by fans (including plenty from his own collection) for a decade-by-decade snapshot of goings-on in and around the San Diego fields that were home to Hall of Famers Dave Winfield, Goose Gossage, Rickey Henderson, Ozzie Smith and Roberto Alomar. The only “fantography” rule: No photos of game action. So, instead, it’s page after page of one-of-a-kind, behind-the-scene, sideline and in-the-stands shots, showing the intense connection of fans to their hometown team, year after year, win or lose. For baseball fans of any stripe, everywhere, it’s a hit. 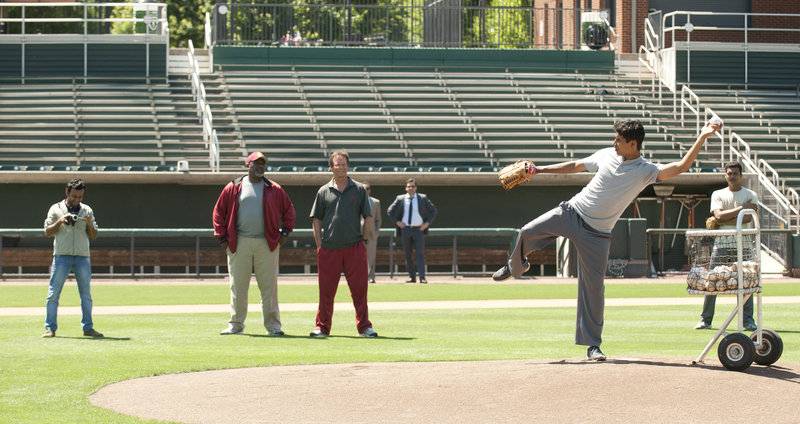 Based on a true story from 2008, Million Dollar Arm stars TV’s Mad Men leading man Jon Hamm as a struggling sports agent who goes scouting for baseball’s next pitching superstars in an unlikely part of the world. After hopeful negotiations to rep a pro footballer (played by Cincinnati Bengals linebacker Rey Maualuga) fall through, Hamm’s character, J.B. Bernstein, and his business partner (Aasif Mandif) turn their sights to baseball, hoping to find a young, unknown, unsigned player. But where? All the international hot spots (Puerto Rico, the Dominican Republic, even China) have already been staked out and tapped. In a flash of inspiration, J.B. sees a cricket match on TV and gets an idea: Go to India, a country where baseball is virtually unknown, find cricket “bowlers” who can pitch, and bring them back to America. So he concocts a contest, called the Million Dollar Arm, and sets off to the other side of the globe to discover what he hopes will be the next ballpark sensations—and the ticket to keeping his small agency afloat. 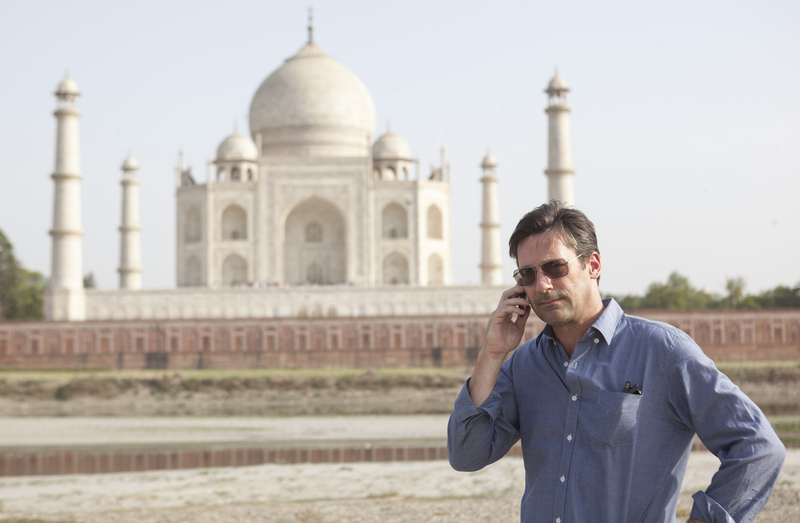 Hamm is the star of this show, clearly, but Million Dollar Arm is also a movie about journeys, geographical as well as emotional. As J.B. adjusts to his new surroundings in India, we meet the two young men, Dinesh (Madhur Mittal, from Slumdog Millionaire) and Rinku (Suraj Sharma, the star of Life of Pi), that will eventually be chosen for a shot—a long one, at that—at baseball’s big leagues, and we come to understand their anxieties about leaving their families, their rural villages, and the only ways of life they’ve ever known. Madhur Mittal and Suraj Sharma portray the two contestants ultimately chosen to come to America. J.B. is accompanied on his trip by a grumpy semi-retired American baseball scout (Alan Arkin, dialing in his usual comical crankiness), and he ultimately brings his new recruits home to learn fundamentals under the tutelage of a former MLB player now coaching college ball (Bill Paxton, portraying real-life USC coach Tom House with just the right dose of sunburn and seasoning). Bollywood actor-comedian Pitobash brings both heart and humanity to his sidekick role as J.B.’s volunteer Indian assistant, who dreams of someday becoming a baseball coach himself. But the movie’s real “heart” belongs to Lake Bell, as J.B.’s brainy med-student guesthouse renter, whose graceful, unforced acting keeps her character’s slow-blooming romance with J.B. feeling more sincere than sappy. The Disney folks surely took some license, as moviemakers often do, but all of this really happened. To see just how closely the film paralleled the real characters, stay for the credits and the photos, video clips and other postscript highlights. More cynical viewers might wish for a more cynical movie, a movie with more rough edges or tough breaks or dark corners. 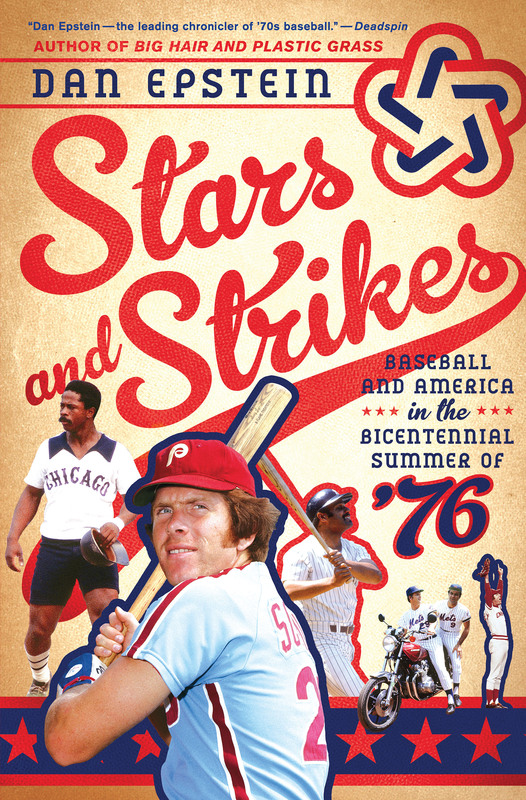 But for anyone who wants to bask in a ray of early summer sunshine, this uplifting, spirit-boosting tale of baseball, dreams, second chances and the grand, glorious game of life itself could be just the ticket. Somewhat as Moneyball looked at the inside business of baseball, director Ivan Reitman’s Draft Day pulls back the curtain on the high stakes, high pressures and high-wire hoopla of the annual process by which the National Football League selects its new recruits. Unlike the better-crafted, based-on-a-true-story baseball movie, however, this formulaic, made-up tale is a pure Hollywood concoction. But it blurs its line between fact and fiction by the use of real NFL locations, cameos by real-life past and present NFL players and other real-life sports personalities, and scenes filmed for the movie at last May’s NFL draft at Radio City Music Hall in New York City. 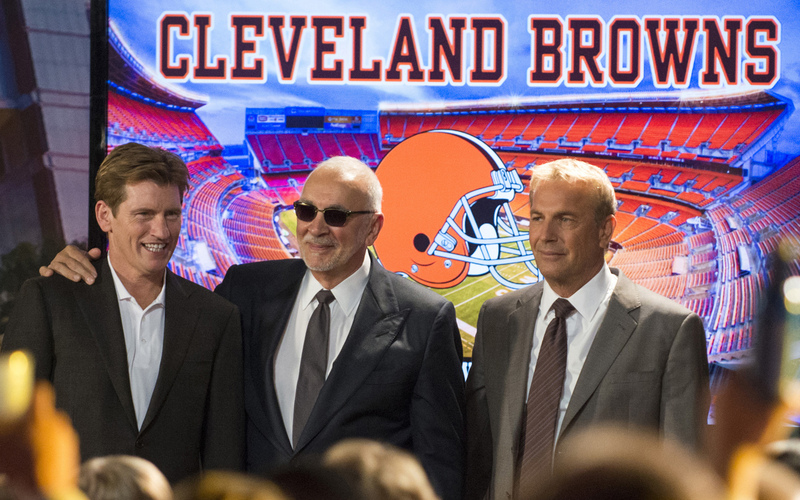 The movie is set in one 12-hour period, during which the main character, fictitious Cleveland Browns manager Sonny Weaver (Kevin Costner), has to set things up to get the best new players he can when the Browns’ “picks” come up in the draft. This involves some serious war-room wheeling and dealing. 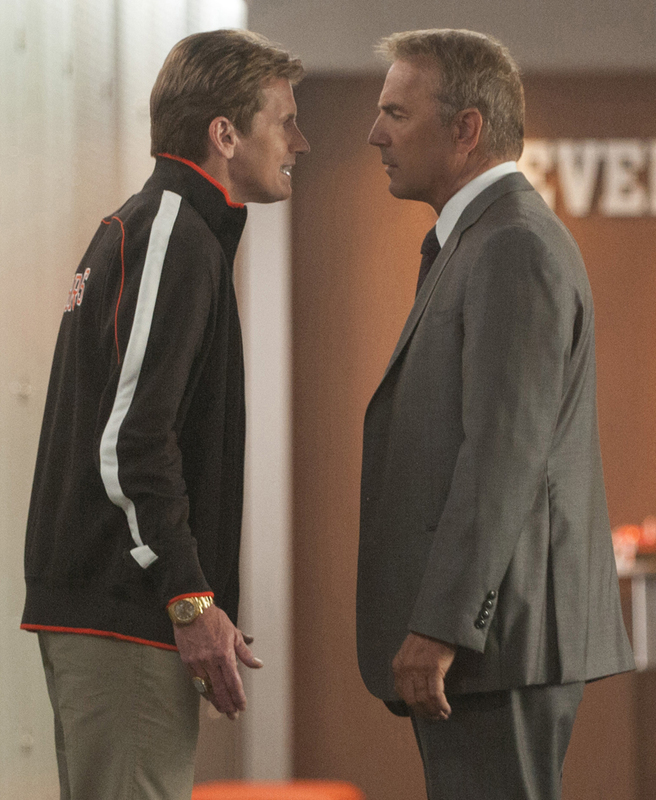 It’s getting hot in here: The head coach (Dennis Leary) and manager (Kevin Costner) take a meeting. Should Sonny go for the hotshot quarterback (Josh Pence), the humble son of a retired Browns player (Arian Foster), or the passionate defensive tackle (Chadwick Boseman)? To add Sonny’s stress, he’s got a team owner (Frank Langella) who wants to fire him, a head coach (Dennis Leary) who doesn’t like him, and a girlfriend/co-exec (Jennifer Garner) who’s not happy that he’s not happy that she’s just found out she’s pregnant with their child. Even Sonny’s own mom (Ellen Burstyn) piles on him. “You sold a cow for magic beans!” she chides him after hearing of a deal he intends to make. Reitman and veteran film editors Dana Glauberman and Sheldon Kahn do some innovative things with split-screen wipes, swipes and pans, as when two characters have a telephone conversation and “overlap” into each other’s spaces. It gives a sense of motion to scenes where the only thing going on otherwise is just two people yakking—and there is a good deal of that. Football fans may be a bit disappointed that there’s so much blab-age and so little yardage—excessive talking at the expense of actual gridiron action. But the movie does a good job of dramatizing an aspect of the sport that’s become an entertainment event itself; this year’s draft will be televised on ESPN May 8-10. And most fans will likely enjoy the all-around air of authenticity, spotting the real-life sports personalities—and throwing penalty flags when it feels like Hollywood puts a bit too much melodramatic spin on the subject. And through it all, Costner—trailing decades of weathered charisma from Field of Dreams, Bull Durham and Tin Cup—anchors the story with a screen persona that seems right at home in a sports-themed movie about a central character under pressure, making decisions at odds with those around him, but somehow rallying to show that maybe he knows what he’s doing, after all.